You’re a little bit French Country and he’s a little bit Art Deco. Donnie and Marie totally get it! When we choose to marry, we hear that two shall become one flesh. Unfortunately–and rather inconveniently–our tastes, preferences, opinions, and sense of style all stay intact after marriage. Our decorating styles do not mystically become one at the alter. And yes, life would be so much easier sometimes if we had just married a clone of ourselves—but that would be totally creepy and a tad unhealthy. 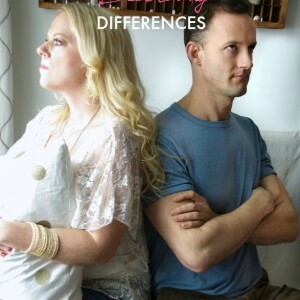 Our differences are what most likely attracted us to our spouse in the first place and they do not have to threaten our relationship or destroy our hopes for a beautiful home. 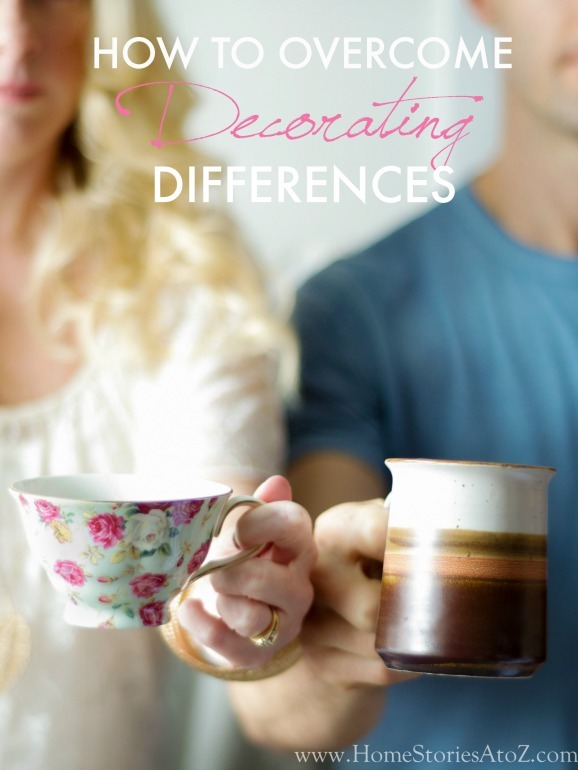 Let’s explore how to overcome decorating differences in marriage. The number one question I get from reader’s (besides what color is your front door–it is Benjamin Moore Wythe Blue by the way) is, “How do I get my husband to ______?” How do I convince my husband to paint the cabinets/70’s wood paneling/Grandma’s thrift store hutch/orangey-oak kitchen table/anything that remotely resembles wood? How do I convince my husband to take up DIY and help me build and create? How do I convince my husband to trust my style and decorating decisions? How do I get my husband to just go along with what I want? Below is the most recent email I received on the topic. Perhaps you can relate to Melanie’s decorating dilemma. The following email is being used with permission. Some identifying information has been omitted and some wording edited. subject: Re: Help! 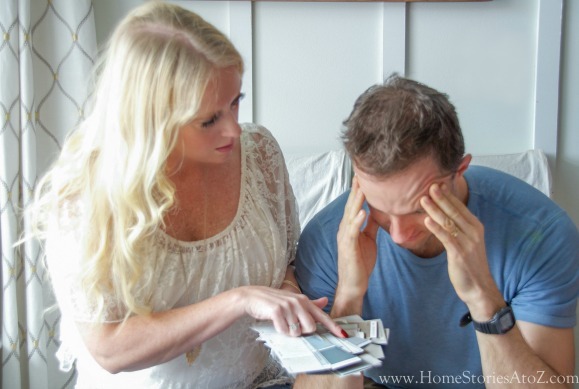 Redecorating may wreck my marriage! 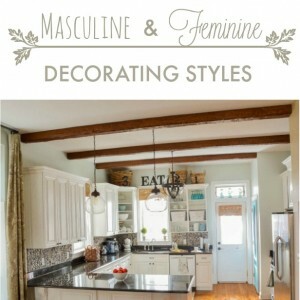 I have been following your blog for a while now after finding a tip on Pinterest regarding decorating and thought I would reach out.Growing up, I can remember my dad painting and repainting rooms, moving and rearranging furniture, and hanging and taking down wall hangings. Now at no time did he care or voice an opinion regarding any of these decisions. Sooo this should be the case with my marriage…right? Uh NO! After living in our house for 10 years ( a house which was a new build) it still looks like we moved in a yr ago. We can’t agree on anything! When I say anything, I mean anything–from wall colors to throw pillows to comforters! My ideas are dismissed, or not important enough to worry about, and his ideas in my opinion are just not what I want or realistic. So every year we say we are going to repaint, get new furniture, etc., and every year I get frustrated and say forget it!We don’t have enough money to hire a professional designer (which I would do in a heart beat just to have a neutral party’s opinion)! I have tried googling and just can’t seem to find a system that would actually work. Do you know of any tips or websites that would help us in getting our house looking both presentable and some place I want to come home to?Please help me figure out how we can compromise and find a way to get everything we each want. Thanks for any advice and Happy New Year! There is not a simple answer to the underlying issue of how to blend two individual styles into one. But know this, it is completely normal to have disagreements when it comes to decorating! Even the most like-minded couples struggle when it comes to agreeing on design decisions. 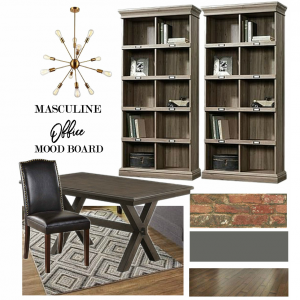 The mixing of masculine and feminine elements in a room is challenging but incredibly beautiful when done well. Where to begin is often the hardest part of the process. Step 1: Talk about your space, how you want it to feel, and how it will be used. I recommend you start with a conversation about how you want your home to feel. Do you want it to feel: Comfortable? Inviting? Cheery? Cozy? Welcoming? Modern? Trendy? Clean? Simple? Open & airy? Rustic? Vintage? Sophisticated? Playful? Think back on places you have visited together. Have the two of you been on vacation somewhere where the decor spoke to both of you? What was that space like? What did you both like about it? 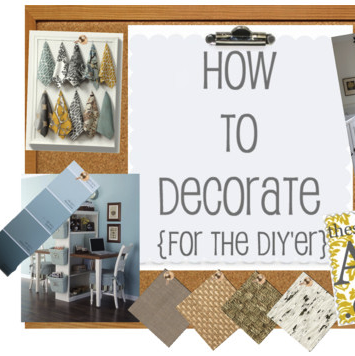 Do you already know your decorating style and what you gravitate towards? Compare your list of adjectives and look for commonalities. If you have children, they are part of the mix and their ages and activities will also influence how your space is used and what is needed. Step 2: Develop a Group Pinterest Board. Men typically aren’t as keen on this activity, but try and make it a date night game and set a timer for 20 minutes in order to set an acceptable time-limit boundary. 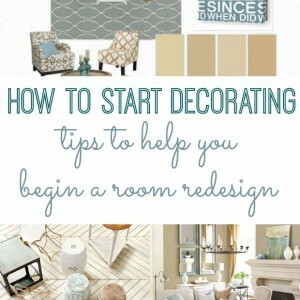 Pick one room in your home–bedroom, bathroom, living room–that needs a makeover. Agree together on the room you would like to tackle. You aren’t necessarily committing to doing this right now; you are just playing with ideas. This is the brainstorming phase! Next, log onto Pinterest individually on your separate Pinterest accounts on separate devices (phones, ipads, computers, etc.). Once on Pinterest, have one of you create a board with the search term that corresponds to the room you chose (i.e. master bedroom). Invite your spouse to pin to your board. Type in the search term (i.e. master bedroom) at the top of Pinterest and then repin all the images that speak to you on your board. When the timer is up, bring up your board on your separate devices and look at all the pictures on the board. Are there any commonalities? Can you see a theme of what each of you like and maybe something in the middle? Discuss your pins and agree to delete the pins from your board that your partner hates. He/she is not allowed to “hate” them all but if there are some pins that seem like absolute no-go’s discuss why. Review the pins that you both like and make a list of all the elements you both like. Step 3: Remember love and respect. Working together when you know there will be disagreement is hard and not getting your way can be downright infuriating. 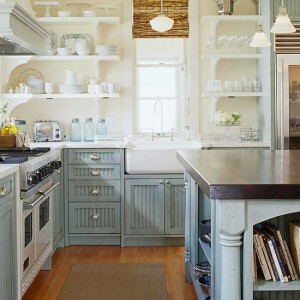 Avoid the temptation to get into power struggles over paint colors and furniture placement. Little petty things can easily turn into hurtful arguments if we allow them to. If either partner is feeling unloved, disrespected, and devalued in conversations over decorating there is a greater problem within the relationship and how each partner communicates their feelings. It’s okay not to agree right away, but it’s not okay to allow frustration to build and explode during conversations over toss pillows. Compromise takes time so be patient and gentle with each other and focus on areas of agreement. I hope this post helps you and your partner begin the conversation about decorating in a meaningful way! Stay tuned for Part 2 in this series when I tackle How to Communicate About Decorating in a Way He Will Understand. In the meantime, you might also want to check out my How to Decorate series. Uh, yeah. We JUST fought over a shelf and I let him win. It’s black squares art deco with my country knick knacks and I hate it. But those photos are now screen shot on my tablet because I love the first and last! I love this! My husband and I are very similar but we still don’t always see eye to eye. Great post 🙂 Off to read the second part! I almost skipped this post because my hubby and I have similar taste, although I do have difficulty getting him motivated to paint ANYTHING. Your thoughts on this topic were really good and can be used for a lot of marital decisions. I wanted to add that my husband was motivated to help me after he saw the improvements that I made on several smaller DIY updates using Craigslist finds. We have furnished two houses on a budget now and he is very cooperative when I want to add touches here and there. I hope Melanie has similar success. Oh, Lord can I relate to this. I’m understated and grow twitchy when there is too much clutter sitting around. Spouse would be happy if the house looked like Cracker Barrel as long as they used black leather La-Z-Boy recliners instead of rocking chairs.